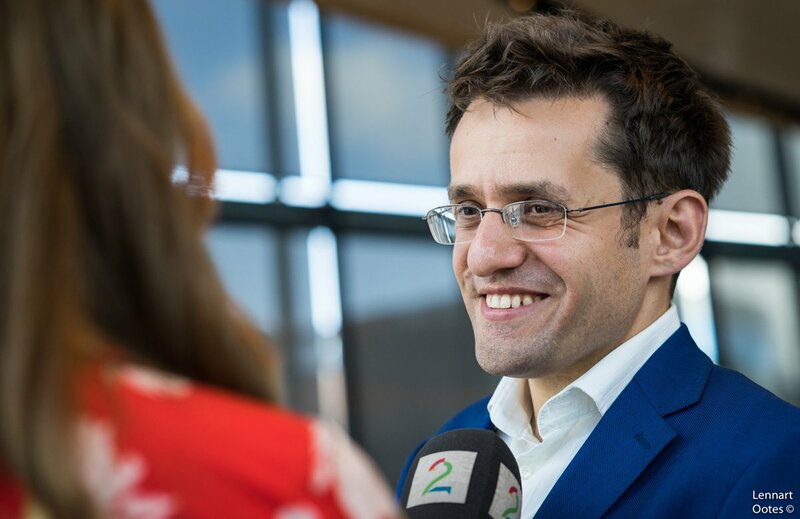 Thus, the half-point advantage of Levon Aronian before the final round turned into a full point lead to secure his win of this tournament. 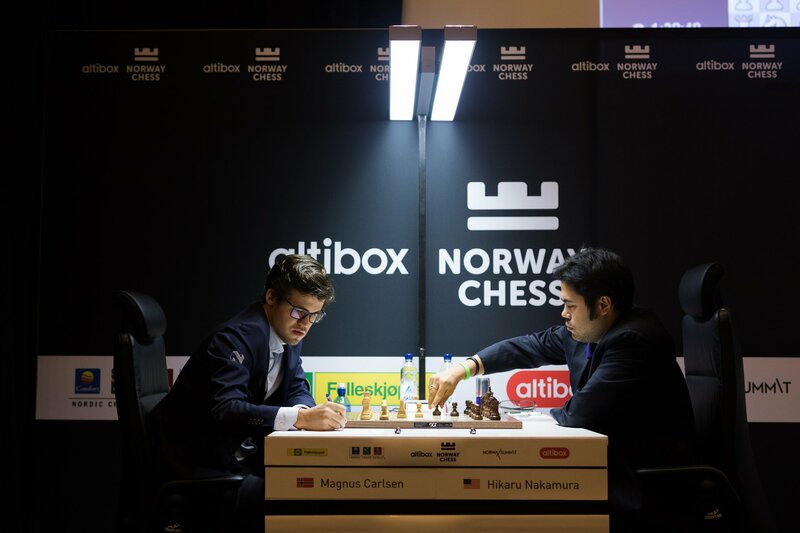 The two bottom-dwellers at the end of the previous round won this time in the penultimate round of Altibox Norway Chess 2017. 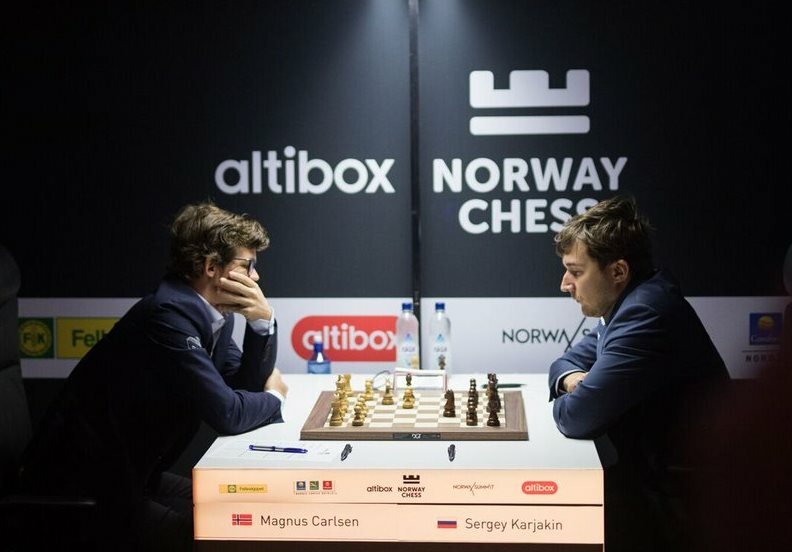 Magnus Carlsen defeated his previous challenger, Sergey Karjakin, while Maxime Vachier-Lagrave won against Vladimir Kramnik. 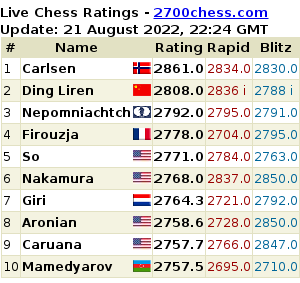 Thus, Levon Aronian still leads leading to the final round with 5.5 points (3 wins and 5 draws), followed closely behind by Hikaru Nakamura with 5 points. 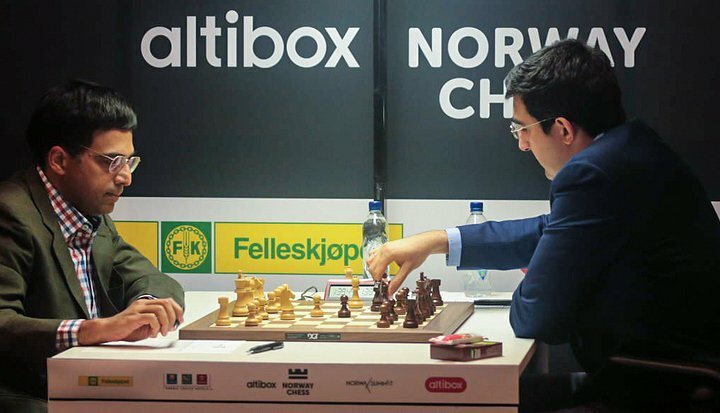 It was another action-packed Round 7 in the 5th Altibox Norway Chess 2017. Levon Aronian won against Sergey Karjakin to take solo lead at the end of the round, with 2 more rounds to go. 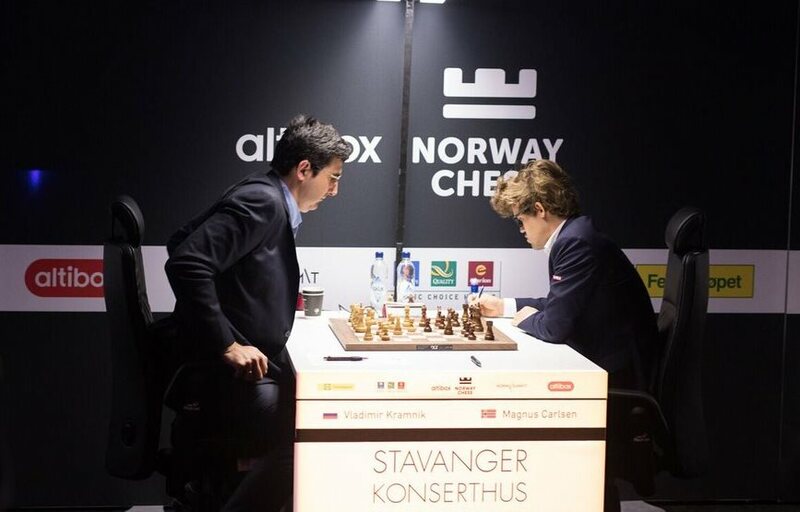 The world champion and Norway’s very own, Magnus Carlsen, found himself in trouble again, as he lost to Vladimir Kramnik, and thus now shares the bottom place with Maxime Vachier-Lagrave in the ranking. 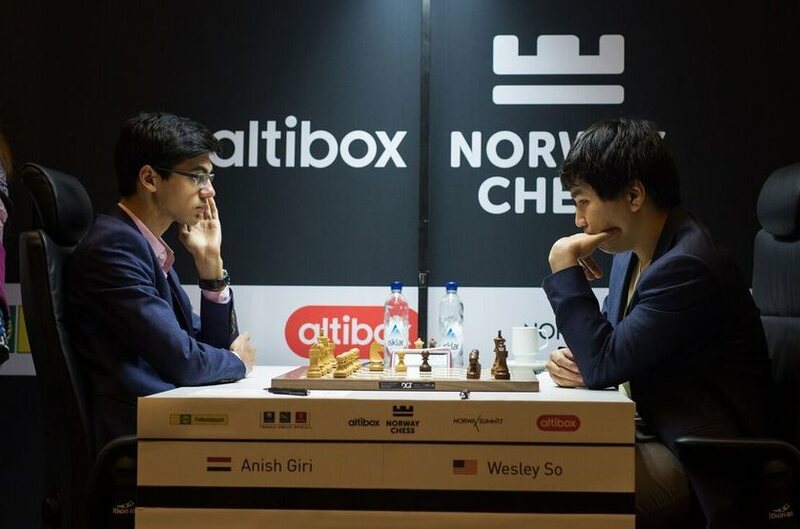 Wesley So failed to capitalize on his 1-pawn advantage and eventually split the point with Fabiano Caruana. So far, Wesley So drew all his games, and has yet to win or lose a single game in this tournament. Aronian and Hikaru Nakamura both have two wins and 4 draws in this tournament, thus lead the pack at the end of Round 6. Thus far, only Wesley So and Sergey Karjakin have all 6 draws and have yet to win or lose a game. The rest of the games ended in draws. 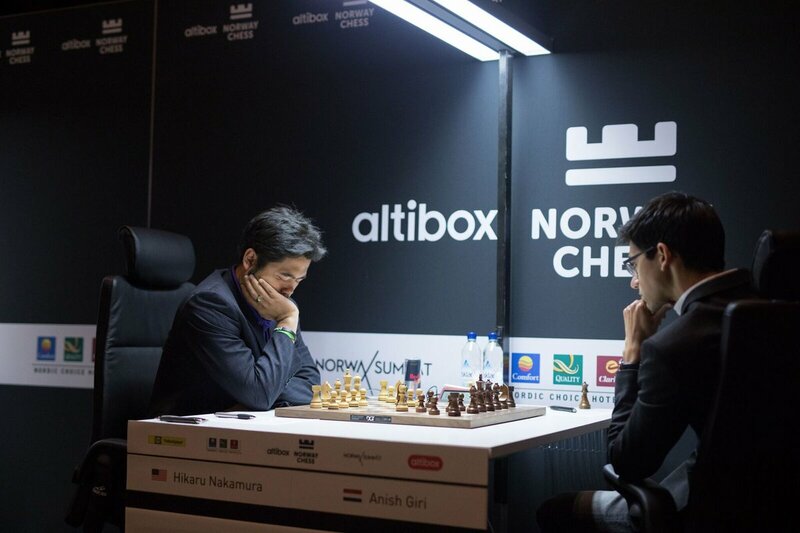 Hikaru Nakamura grabs the early lead in the opening round of Altibox Norway Chess 2017 tournament, as he beats Anish Giri in 67 moves of the Grunfeld Defense.